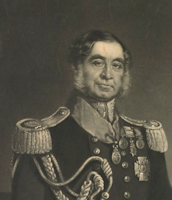 Major Thomas Mitchell explores overland from Sydney and discovers Edward and Francis Henty already settled at Portland. 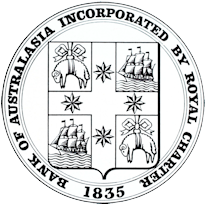 The Bank of Australasia, a forerunner of the ANZ Bank, establishes Melbourne’s first permanent bank branch in Little Collins Street. 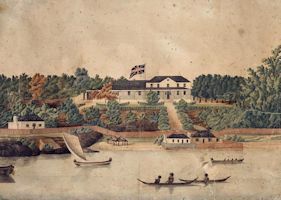 Charles Joseph La Trobe spends time in Sydney with Governor Gipps, learning the conduct of government business before travelling on to Melbourne, which takes two weeks by boat. 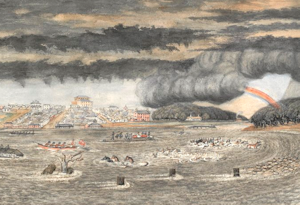 A massive flood washes away the partly-completed dam across the Yarra River at the Falls, near present-day William Street. 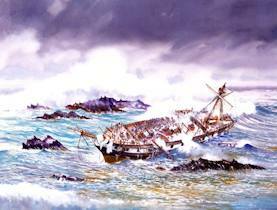 The Cataraqui is wrecked off the southwest of King Island with the loss of 400 lives. 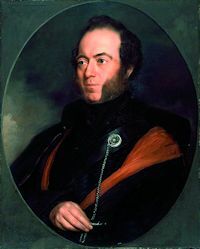 Sir Charles FitzRoy becomes Governor of New South Wales, encompassing the Port Phillip District. 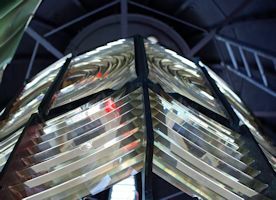 The Cape Otway lighthouse is lit for the first time. 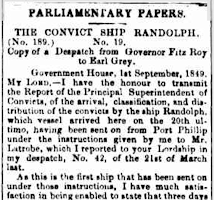 Charles Joseph La Trobe refuses to allow prisoners from the convict ship Randolph to land in Hobson’s Bay – they are eventually delivered to Moreton Bay (Queensland). 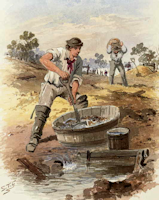 Gold is discovered at Clunes and Buninyong. 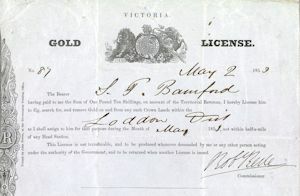 A gold licence fee of 30 shillings a month is imposed on miners. 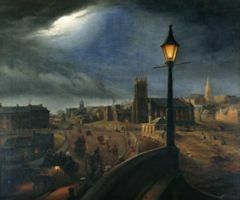 Gas lamps replace oil lamps in the city of Melbourne.